Centre Fellow, Dr. Claire Molloy has published an innovative new book on animals and mainstream media. In Popular Media and Animals, Dr Molloy examines various ways in which mainstream films, television, marketing, advertising, videogames and newspapers engage with key animal issues. She proposes that animal narratives and imagery are economically significant for popular media industries which, in turn, play an important role in shaping the limits and norms of public discourses on animals and animal issues. Dr Molloy argues “it is vital that representations of animals are not dismissed as merely human metaphors with little or no connection to the realities of animals’ lives nor the media industries demonized for their role in the construction of discourses about animals.” Instead she proposes that there is a need to attend to the relations between the economics of production, the aesthetics and conventions of representational practices, the norms of human-animal relations and the historically situated discourses that connect and contextualize them. In this highly accessible book, Dr Molloy draws widely from industry studies, attitudinal surveys, archival materials and mainstream media texts. Tackling a broad array of topics that includes vivisection, hunting, animal performance, farming, eating meat and animal control, she identifies where these issues intersect with recurring themes of suffering, sentimentality, authenticity and identity. Dr Molloy is Senior Lecturer in the School of Arts and Media at the University of Brighton. 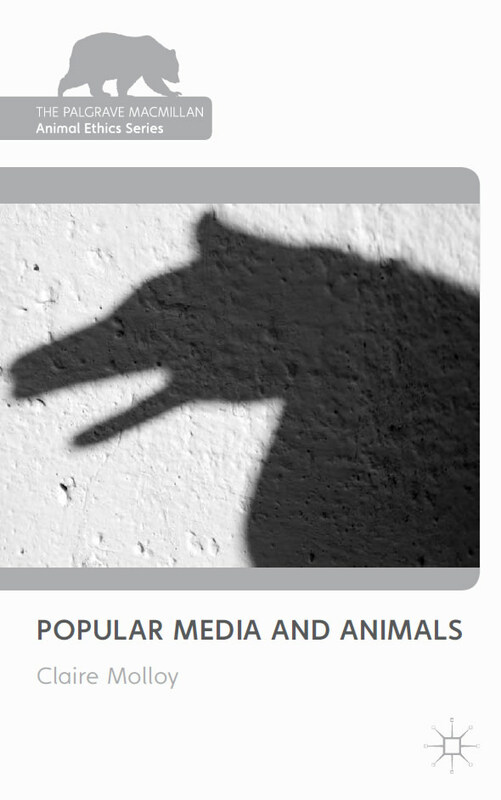 Popular Media and Animals is the most recent publication in the Palgrave Macmillan Series on Animal Ethics. The Series is produced in partnership with the Centre and aims to provide a range of key introductory and advanced texts that map out ethical positions on animal issues. The book can be ordered here, and further information is available here.